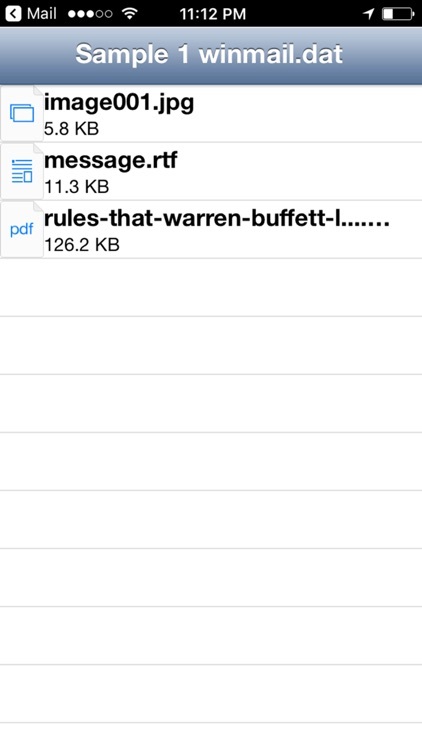 Winmail File Viewer – No.1 app to open winmail.dat files on the App Store! Now updated for iOS 10 and the latest iPhones and iPads. 1)Why doesn’t this app work for me?? 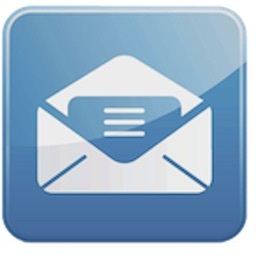 A: Make sure it is a winmail.dat file that you are trying to open with this app! 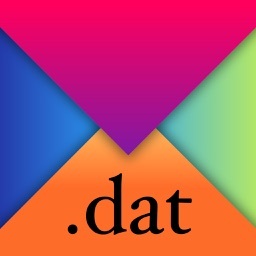 a)Files such as just a .dat (not winmail.dat) are special data files (hence the name! ), and only the software which created them can open them. They can’t be opened using this app. b)A .wmv file is NOT a winmail.dat file, even though it looks similar! It’s a ‘Windows Media Video’ file which can’t be opened with this app. 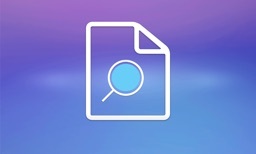 c)An ‘Untitled Attachment’ or a ‘MIME’ file or an ‘.eml’ file is NOT a winmail.dat file, and this app should not be used to open this type of file. 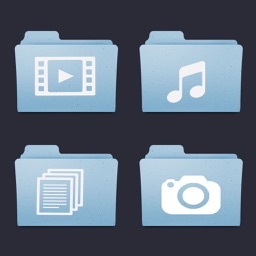 Also be sure to check that your file has downloaded completely on your iPhone/iPad. Sometimes large files with sizes in MB take time to get downloaded, especially if you are on a slow WiFi network. 2)Why does the app show ‘This is not a TNEF file’? 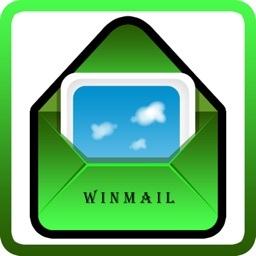 A: Around 99% of winmail.dat files are created using TNEF encoding, and all the ‘winmail’ apps and software are able to open only these types of winmail.dat files. 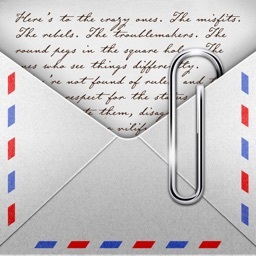 The solution to open non-TNEF winmail.dat file has not yet been found, though I am working on it and hopefully should be able to include it in the next app update. 3)How do I open / view / edit the files which are contained inside my winmail.dat file? 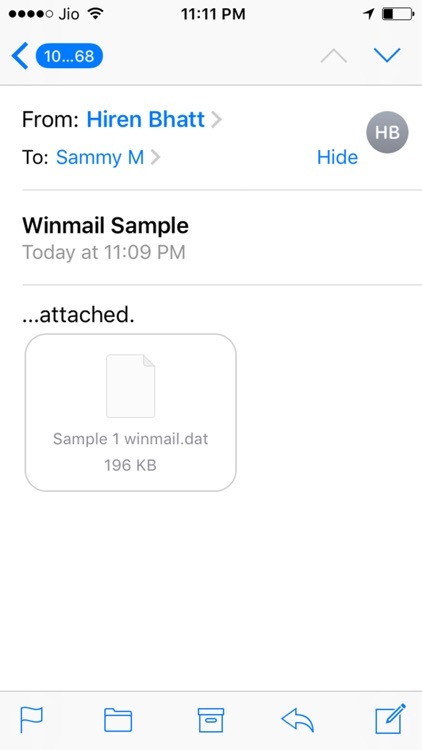 A: This app will ONLY open the winmail.dat attachment, but for any file contained inside the winmail file you will either need the functions/default apps of your iPhone or iPad OR you'll need to install other apps to open Word, Excel, PDF, large Image files, zipped files, Audio and Video files. The Winmail File Viewer app is a simple app to open winmail.dat (TNEF encoded) files, so please don’t expect it to do anything more. 4)Why do I get a ‘Blank page’ when I open the winmail.dat file using your app? A: Sometimes there is absolutely nothing inside a winmail.dat file except some kind of formatting, fonts, AVG virus scanner info, voting buttons, email read receipts etc. So, if you get a blank page after opening the winmail.dat file please don’t worry because there is nothing wrong with the app. Still, if you need assistance you can contact me via email and I will get back to you within a few hours. 5)Are there any new features planned for this app in the future? A: Yes, I will be adding lots of new features and functionality to this app in the future, so please keep using it!